Careentan.com: Are you saving up for the rainy days? Are you saving up for the rainy days? You know how they say, no matter how much you plan for your life, if things are meant to happen, they will happen anyhow? I'm sure there's a proper quote for this, just don't know which one so I'll just put it out here in layman terms la hahaha. What happened in the past few weeks have taught me a thing or two about life *cues dramatic music*, and made me think about saving up for the rainy days. About 3 weeks ago, I was driving on the NPE highway when a tiny pebble fell from a truck beside my car, and hit my windshield. It happens so frequently especially on highways that I didn't give it much thought, not even a glance at my windshield. I just kept on driving and carried on with life. Until the following morning when Boon was driving and he suddenly went, "Dear, what's this crack on our windshield?" I looked over from the backseat and got a shock! When did that happen? I had no idea. Then slowly it dawned upon me that it could be that seemingly harmless pebble that hit my windshield! What was shocking was that instead of the usual small round crack on the windshield, this crack was a longgggg oneeeeee. To make matters worse, the crack just kept growing longer and longer by the day. Each time I drove I had the worst possible scenario flashing in my mind. What if another pebble hits my windshield and the whole thing cracks on the highway and I can't see anything but can't stop the car! What if a bird decided to fly into the windshield and smash the whole glass into my face! Worst one- What if the shattered glass cut Tyler and injure him??? I asked myself, what could I have done to avoid the crack? Aside from not driving on the highway (which is nonsense cos essentially this can happen ANYWHERE, even outside our house), there was really nothing I could have done to prevent it from happening. It really was one of those unforeseen, unfortunate incidents. After we settled everything, got a new windshield replaced and heaved a sigh of relief, I got a text from one of my sisters that this happened. She was having tea at Tous Les Jour in Empire Gallery Subang and came outta the mall to this. It was all good before we went in, so it must have happened at the carpark itself. 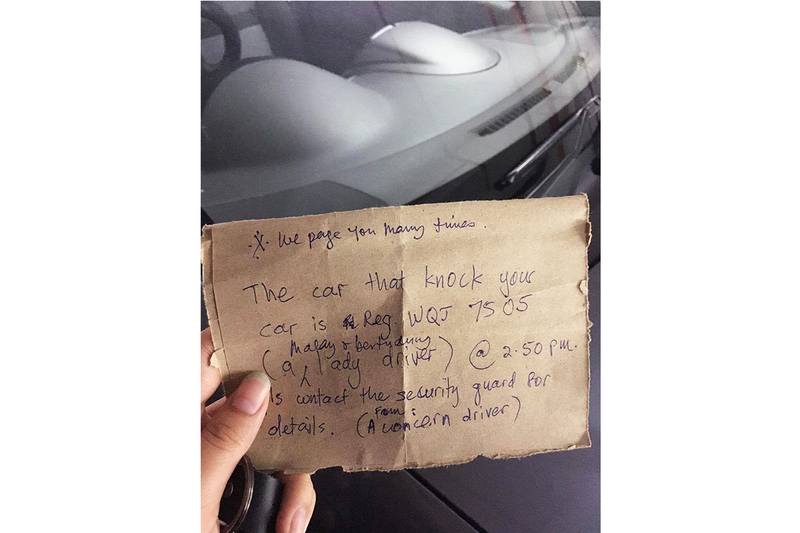 To add to the mystery, a note was left on the car by a random stranger who apparently witnessed the "hit and run", and wanted to seek justice for my sister by reporting her car plate number in hopes that she could demand for compensation from the irresponsible driver. Apparently they tried paging for my sister through the mall announcements but she couldn't hear it cos she was in Tous Les Jour which was placed outside the mall -.- A few kind souls who witnessed the incident reported to the mall management, and one of them left this note for my sister! These two incidents within these few weeks made me realise just how random life can be. We can be all careful and such, yet accidents can still happen regardless of how we tried to prevent it. Of course, we can buy insurance, etc. but that's for another blog post altogether. The point of my post is, sometimes we take life for granted thinking "it won't happen to me", so whatever we earn, we spend, and maybe we save...for vacations. I understand especially for the young working adults, it's difficult to save out of the pay they're getting cos cost of living is so high in the city. But the truth is, it is important and essential to save for unforeseen circumstances like the above. For us, the repair amounts did sting but we could still carry on with our daily lives with food on the table and a roof over our heads. But how about those whose livelihood depended on it? So yeah, just thought I should share about this cos in this day and age where it's all about living the YOLO life and wanderlust, people are not interested to hear about saving money for the boring things like rainy days. Articles like "how to save for your next travel" will go viral compared to "how to save for rainy days in life" hahaha. Perhaps some necessary food for thought right here! 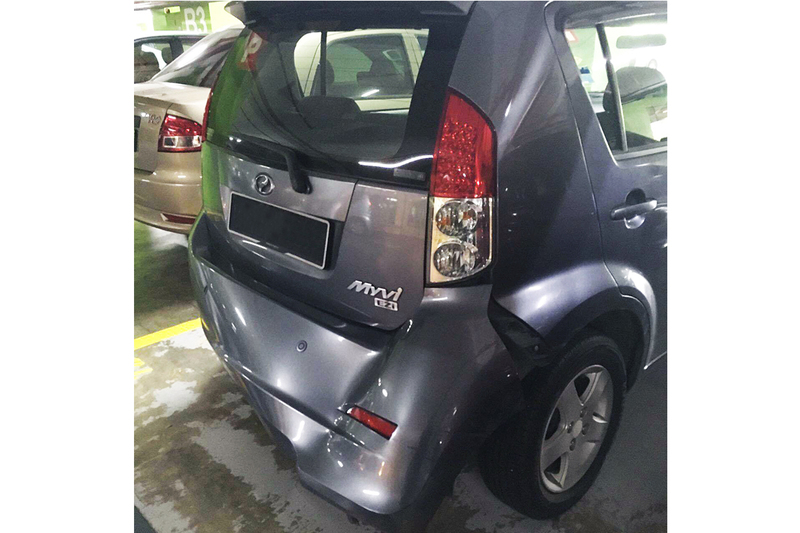 I hope that the driver that bangs the myvi will get a speeding ticket for the rest of her life. 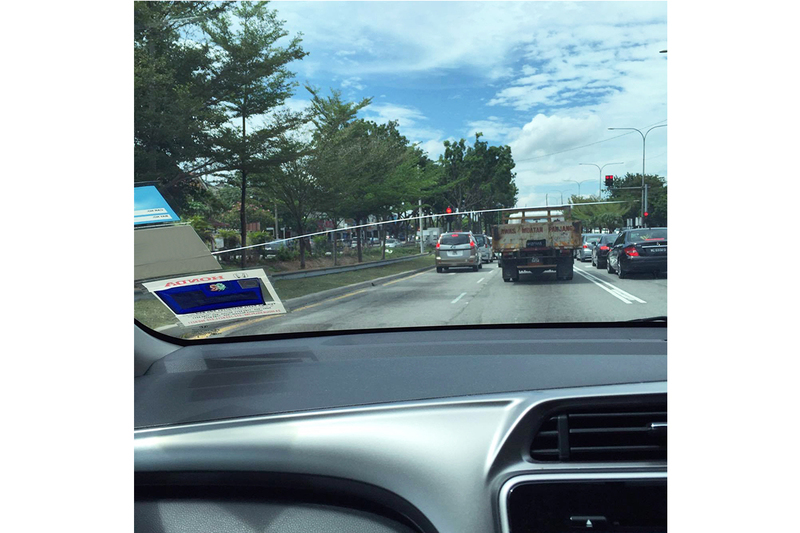 Hey Careen, you can actually include windscreen into your insurance coverage (its optional), if not mistaken, should cost around RM150, depending on the value of your car. Once bitten twice shy, so you might wanna consider that the next time you renew your insurance. Wont cover all unpleasant events but better than nth?